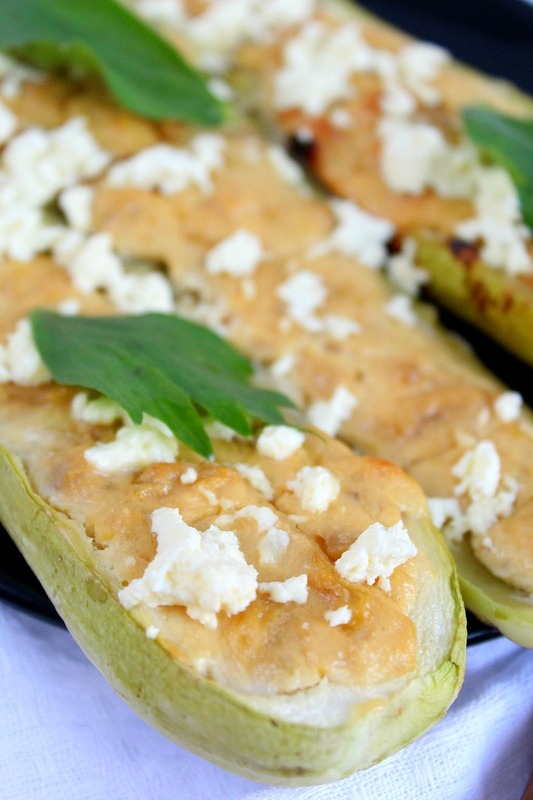 Take zucchini to the next level with this delicious stuffed zucchini boats recipe! Made with simple and healthy ingredients like goat cheese and garlic, this recipe comes together in minutes. 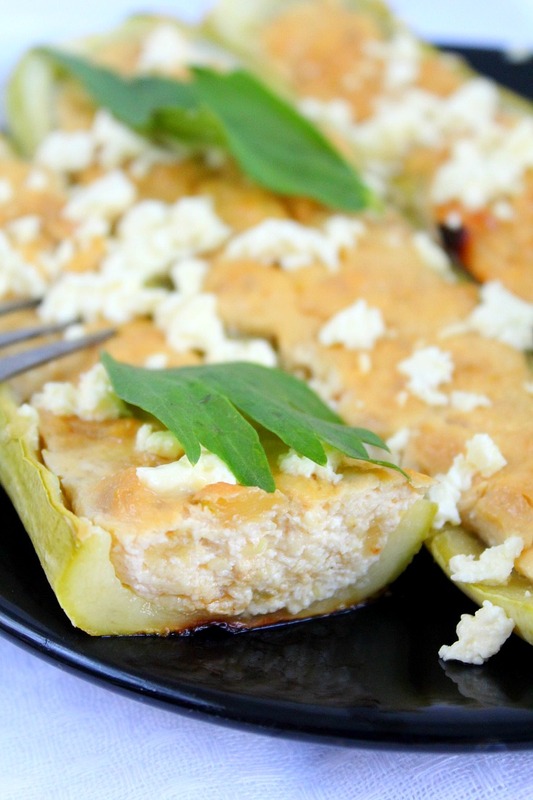 I love stuffed zucchini boats, especially when they’re more on the healthy side like this recipe. 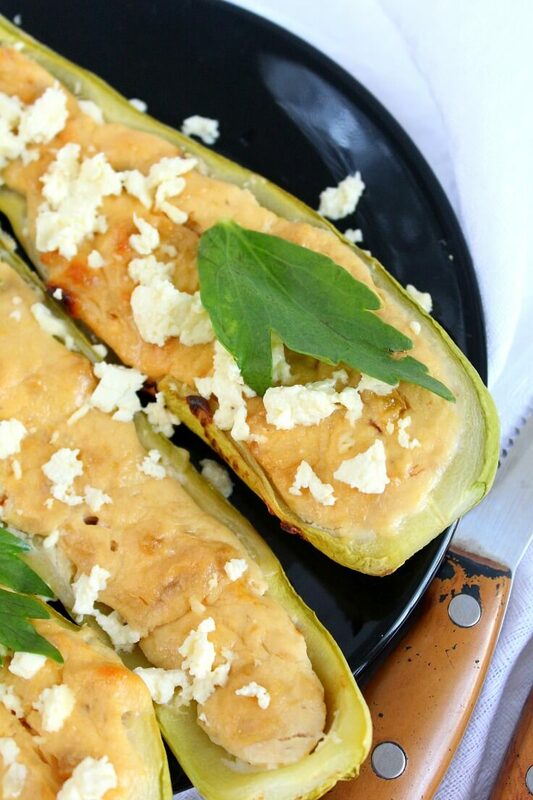 Stuffed with a mixture of the zucchini pulp, goat cheese and garlic and baked until golden for perfection! 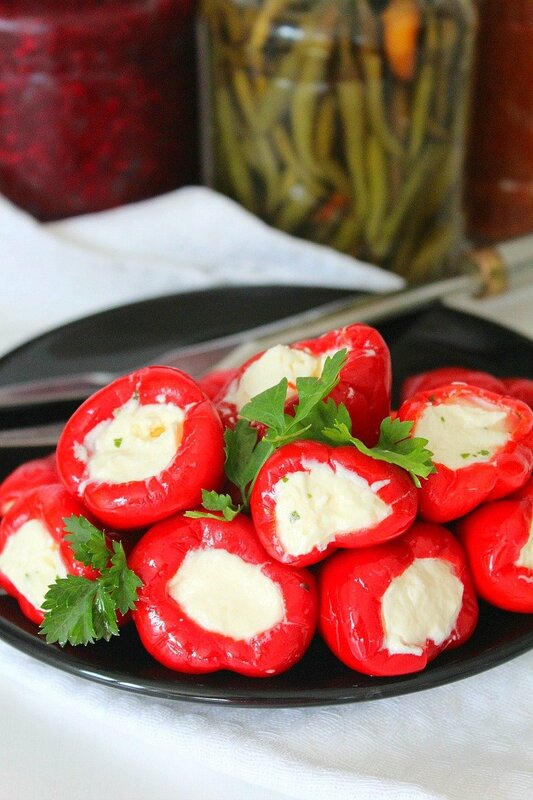 These make a great appetizer, a healthy snack or a filling side dish. You can even make these a main meal on hot summer days when you don’t feel like eating a lot. And since they’re baked you can even serve them cold from the fridge like I did. They won’t taste as fresh but they’re still very delicious. 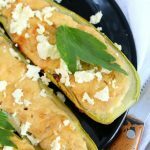 The best part is, the cheese and garlic combo will make you feel full pretty quickly so if you’re watching your food intake, these stuffed zucchini boats are the way to go! 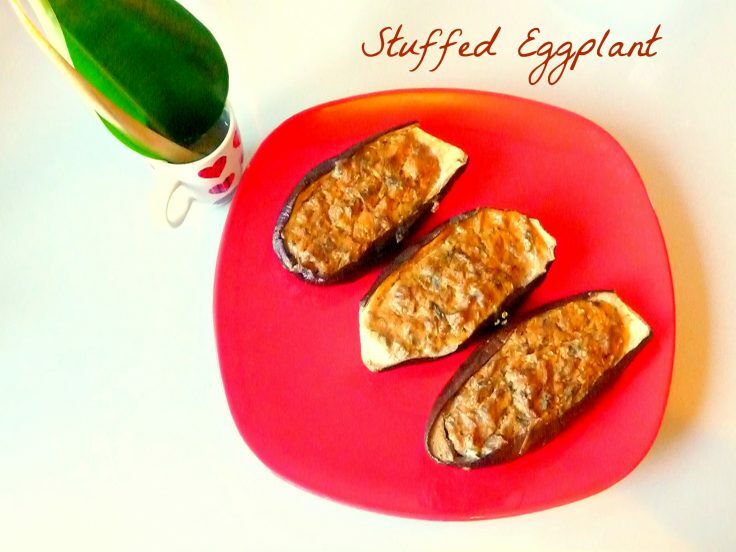 These are pretty versatile too, you can add whatever ingredients you like but I found this simple combination the best for my needs. 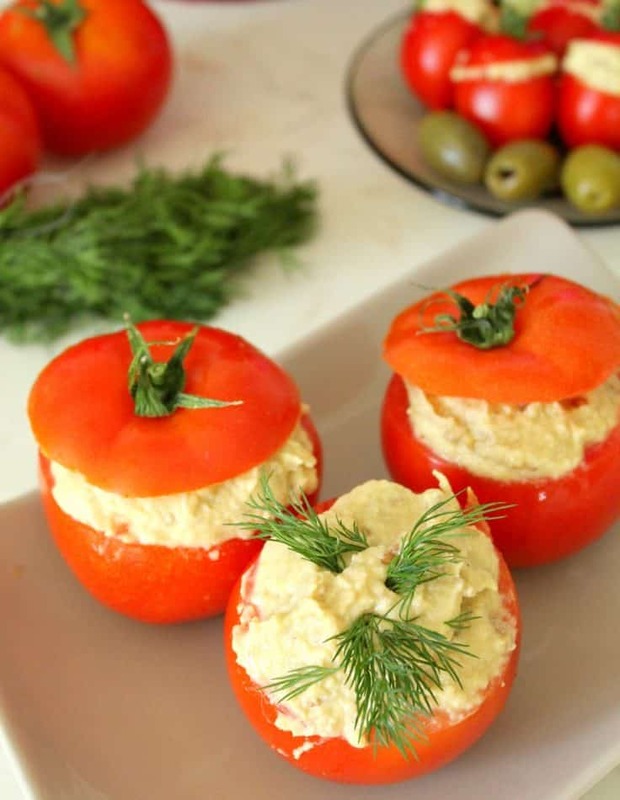 I like to eat these simple or topped with pickled cucumbers for the perfect snack or heat them up in the microwave for a light dinner at summer when the heat brings my appetite down. Cut the zucchini in half, lengthwise and take the flesh out. Finely chop the flesh until you get a paste like texture. In a deep skillet, heat the oil and sautee the zucchini flesh until all liquid is gone. Add the cheese and sautee for another minute or so until well combined with the zucchini flesh. Remove from heat and add garlic, mixing well to combine. 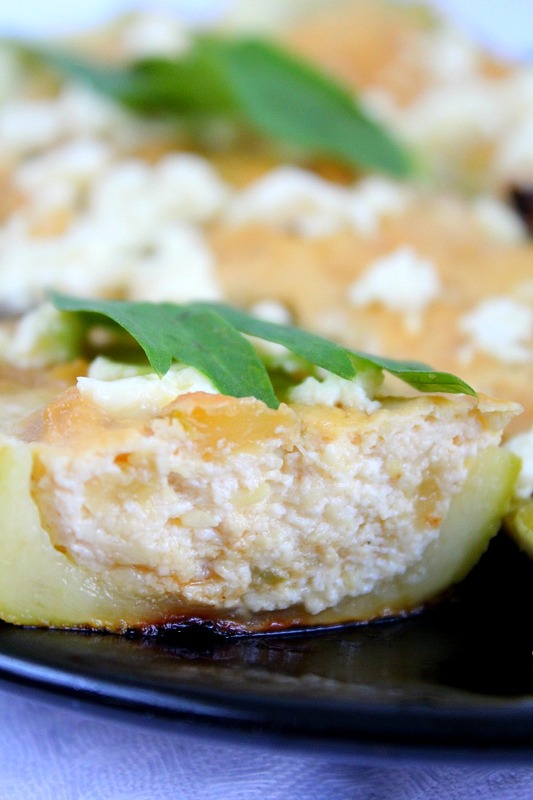 Fill the zucchini boats with the above filling and transfer to the prepared baking sheet. Once baked, remove from the oven, cool in the baking sheet then sprinkle goat cheese and decorate with fresh lovage leaves – this is optional. 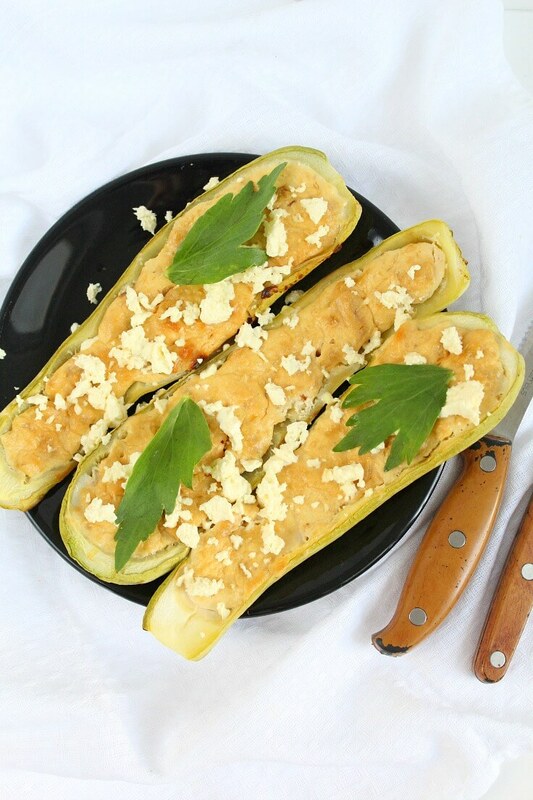 Enjoy your delicious stuffed zucchini boats! Once baked, remove from the oven, cool in the baking sheet then sprinkle goat cheese and decorate with fresh lovage leaves - this is optional. These have the perfect combination of flavors. They are also light so I could eat a whole bunch of them. Thanks Peter. That’s why I love them so much too!